I love the color combination in her outfit from this episode! The cream, yellow, and mustard work so well together because they're in the same color family. The pop of purple from her satchel is unexpected, but I like it. 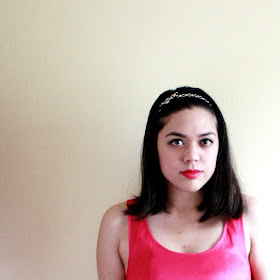 Wear a cream lace dress that's fitted at the natural waist and has a full skirt. Top it with a mustard yellow boyfriend cardigan and bold yellow skinny belt. 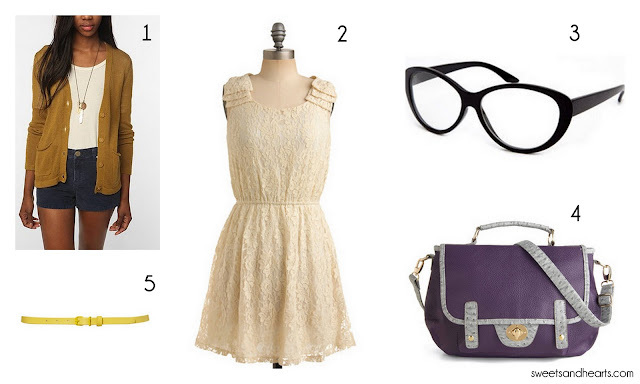 For the finishing touches, add a purple satchel and Lucy's signature oversized cat-eye glasses. 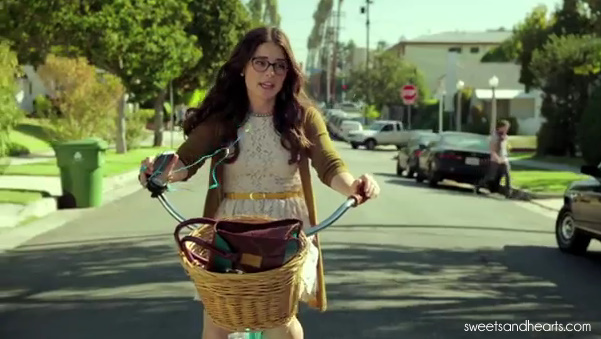 Add a little red lipstick and a cute bike, and you'll be all set! 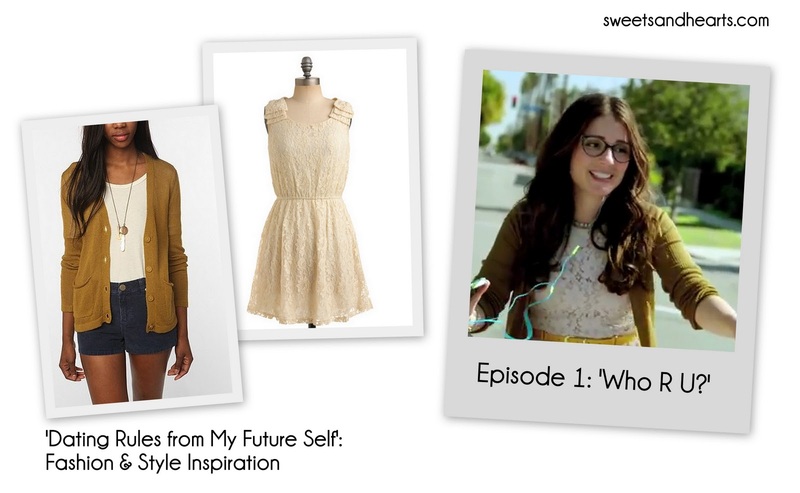 Stay tuned for more fashion and outfit inspirations from 'Dating Rules from My Future Self'!